Many people love to celebrate New Year’s Eve and everyone has their own way to celebrate it. Some people prefer to celebrate the new year at home with the family, but some of the others choose to celebrate it with friends in the outside. Perhaps, you already familiar with celebrating New Year’s Eve at home, but how about celebrating in out the home? If you are curious about celebrating the new year’s eve in the outside, you can go to many places. But, I will recommend you to come to Kempinski, Jakarta. You can celebrate and enjoy your New Year’s Eve in Kempinski, Jakarta. There are many special offers in this places, including its hotel. You may come and stay in the hotel, without having to worry about the lodging. Then, after you celebrate it in the hotel, you can explore the other area the next day. What do you think? Practical isn’t it? 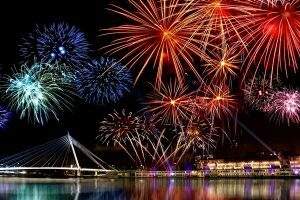 If you want to know fun things to do in Jakarta in new years eve, you may check these out! 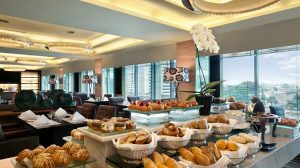 Kempinski Hotel is one of the best hotels to stay for new year eve in Jakarta. But, before you go on holiday, the first step you must think about is the lodging. The lodging is must be in the strategic places and Kempinski Hotel would be the best choice. In this hotel, you can stay celebrating the New Year’s Eve and enjoy lunch or dinner. However, it is different from the last years, Kempinski Hotel now offers you the new theme and decoration. Ramayana magnificent courtyard will be transformed into a boat deck for New Year’s party, created specifically to give the visitors a fantastic experience that they’ll remember all year. 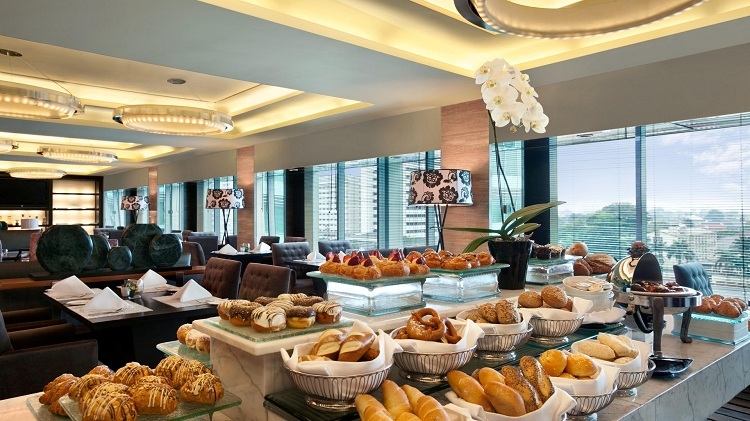 With a minimum stay of two nights, the hotel will give you spacious rooms with a buffet breakfast. The accommodation in this hotel will provide you the access of the New Year’s party in the Ramayana Courtyard. Besides that Kempinski hotel also offers various events, but you must pay additional costs. The New Year should become one of the moments where you and your family or friends gather together. Celebrating New Year with a hope that the goals will be achieved in this year. However, after spending the night in the Kempinski Hotel, you can go to the old city Jakarta on the other day. One of the places in the old city Jakarta that you can explore is Fatahillah. In the Fatahillah courtyard, you’ll see the colorful bicycle driven by visitors who take the tour in the Old City. Those bicycles are available for all the visitors who want to taste the fresh things in Old town Jakarta. It can be rented if you want to enjoy the view of the old building which is identic with Dutch heritage, especially in the architecture. So many families who already come to this place to travel and also teach their children about historical objects which are provided in the Wayang Museum and the Museum of Jakarta. In this place, you will find many instagrammable spots as the instagrammable spots in Yogyakarta. You can find at least four spots and three museums in Fatahillah, one of which is Jakarta History Museum, known as the Museum Fatahillah Jakarta. This place will offer you great scenery because Jakarta History Museum building was built by the Dutch-style design. Besides that, it also offers you old buildings called Wayang Museum. This building presents collections of wayang from around the world. There are about over 400 wayangs from various regions in Indonesia and overseas. If you want to find a resting place in the Old City, you can relax in the cafe with a Dutch-style. One thing is you don’t have to worry about the cost because it would be affordable. 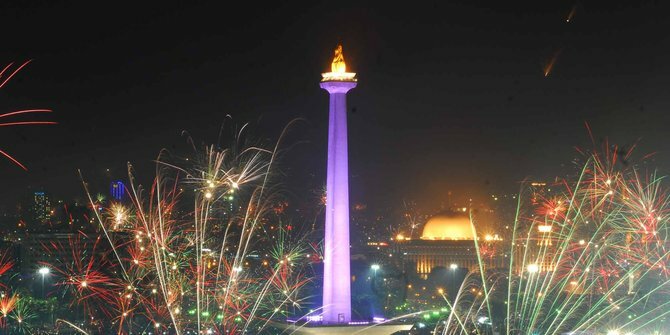 New Year’s Eve in Kempinski Jakarta should be celebrated in one of the best places, which is Monument National or also familiar with Monas. You can see fireworks and hear trumpet shouted around the Monas, Central Jakarta. Many visitors have already filled surrounding the area since afternoon. Some of them will use mats to sit and some the other prefer to take pictures with the background of tugu Monas Jakarta. This place will get more crowded at night. When the time was 22:55 pm, you will have already heard the sound of the trumpet. Some of the people who come to the monument will carry a trumpet from home. However, most of them prefer to buy from merchants around the monument. Besides hearing trumpets and seeing the fireworks, this place also provides the other entertainment. Many musicians of Indonesia will perform at this place, such as Rhoma Irama. The second by second to 00.00 pm, the atmosphere will get more alive. You can even hear more bells and whistles. Monas marked the turn of the year at Badwater by beating the drum (beduk) multiple times. Fireworks from outside the Monas area rumble and the sky’s capital center will be full by colorful fireworks. And at that time, it is a good time for the visitors to capture the moment with the camera. 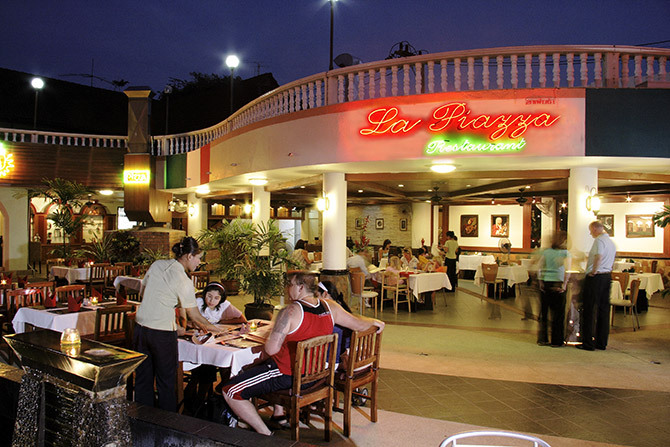 At night, if you want to hang out with your friend to celebrate the New Year’s Eve, you can come to La Piazza. The location is at Mal Kelapa Gading Area. This area is suitable for you and your friends who are bored with the atmosphere of the Jakarta during the new year. In this place, there is always a celebration of New Year’s Eve that will help you to capture your best moment. Some artists are also usually invited to perform a show and entertain the visitors. In addition, there also will be a fireworks celebration in this place. 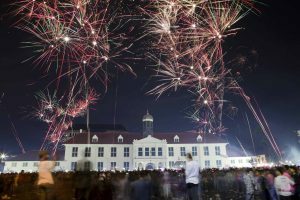 Usually, Taman Mini Indonesia Indah (TMII) will hold a fireworks show on New Year’s Eve. The fireworks at TMII will be started at 00.00 and located in two places, namely the Chinese Cultural Park and Miniature Arsipel Lake TMII. In Lake Arsipel, the fireworks New Year’s Eve will be combined with a view of the thousands of torches that will stab into the miniature map of the Indonesian archipelago. In this place, there are 6,815 of fireworks that will shot in the two points. In addition to a fireworks show, this place will hold several supporting events such as the entertainment in the PP Science and Technology area which will be started at 20:00 pm until 00:15 pm. Moreover, there are wayang performances that will perform all night by puppeteer Ki Gunarto in the Bentar temple and keroncong music performance at the Arts Village Stage. Then, the video mapping show at the Palace of Children’s Indonesia also will be held in this place. Well, that’s all about how the people celebrate their new year’s Eve in Kempinski, Jakarta. Are you ready for yours?